Changes in marijuana policies across states legalizing marijuana for medical and/or recreational use suggest that marijuana is gaining greater acceptance in our society. Thus, it is particularly important for people to understand what is known about both the adverse health effects and the potential therapeutic benefits linked to marijuana. Because marijuana impairs short-term memory and judgment and distorts perception, it can impair performance in school or at work and make it dangerous to drive. 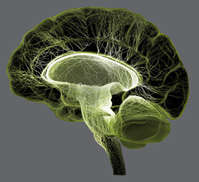 It also affects brain systems that are still maturing through young adulthood, so regular use by teens may have negative and long-lasting effects on their cognitive development, putting them at a competitive disadvantage and possibly interfering with their well-being in other ways. Also, contrary to popular belief, marijuana can be addictive, and its use during adolescence may make other forms of problem use or addiction more likely. Whether smoking or otherwise consuming marijuana has therapeutic benefits that outweigh its health risks is still an open question that science has not resolved. Although many states now permit dispensing marijuana for medicinal purposes and there is mounting anecdotal evidence for the efficacy of marijuana-derived compounds, the U.S. Food and Drug Administration has not approved "medical marijuana." However, safe medicines based on cannabinoid chemicals derived from the marijuana plant have been available for decades and more are being developed. This Research Report is intended as a useful summary of what the most up-to-date science has to say about marijuana and its effects on those who use it at any age. What is the scope of marijuana use in the United States? How does marijuana produce its effects? What are marijuana's long-term effects on the brain? How does marijuana use affect school, work, and social life? 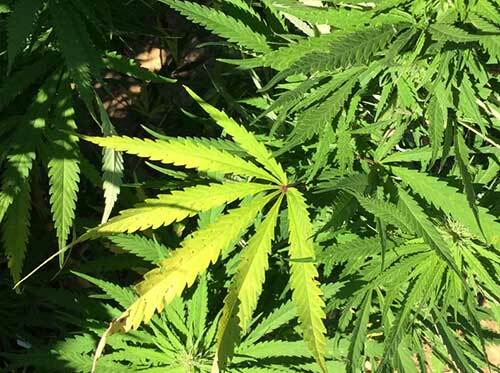 Is there a link between marijuana use and psychiatric disorders? What are marijuana's effects on lung health? What are marijuana’s effects on other aspects of physical health? Is marijuana safe and effective as medicine? What are the effects of secondhand exposure to marijuana smoke? Can marijuana use during and after pregnancy harm the baby? Where can I get further information about marijuana? NIDA. "Marijuana." National Institute on Drug Abuse, 25 Jun. 2018, https://www.drugabuse.gov/publications/research-reports/marijuana. NIDA. Marijuana. National Institute on Drug Abuse website. 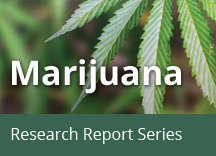 https://www.drugabuse.gov/publications/research-reports/marijuana. June 25, 2018.